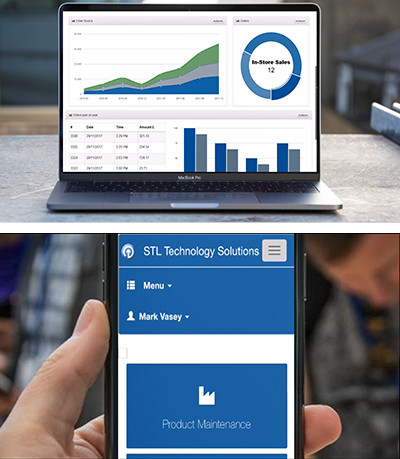 Following two years of development and six months in real-world trials at a major mixed wholesale operation, STL Technology Solutions confirms that it will be launching the next-generation release of its industry-leading Merchandise Management System (MMS) in Q3: STL MMS EVO. 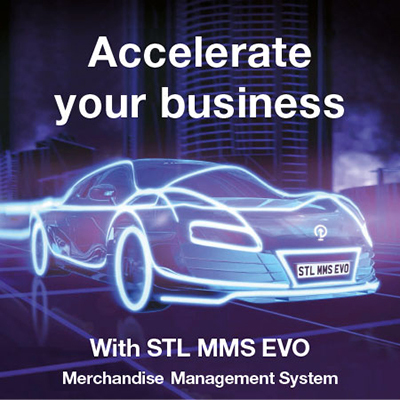 STL MMS EVO is an intelligent and sophisticated system built on the robust Microsoft platform, fusing the stable and trusted features of STL MMS with the latest web and mobile technologies to create a dynamic solution that will meet all the emerging as well as current demands on operators. Users will note a fully refreshed interface that gives the MMS a modern look that is very easy to view and intuitive to navigate. This includes a ‘dazzling dashboard’ with dynamic Key Performance graphs for all key processes: these help users quickly comprehend operational performance in all areas of their business, in real time, so they can make timely adjustments to maintain optimum profitability. Reflecting customers’ desire for full office mobility, the new release also has a fully responsive design, which means it scales to fit mobile devices such smart phones and tablets and is compatible with all commonly used browsers for swift access. The new release gives greater options and flexibility when setting security parameters, including role-based access so users can set controls that support their unique business structure.